Yesterday, Erika and I drove from Budapest, Hungary to Kraków, Poland. Between the two metropoleis, lies the country of Slovakia, formerly joined with the Czech Republic as Czechoslovakia, but later splitting into two separate republics. No, it isn’t a province of the Czech Republic. Going strong over two decades as an independent state after the breakup of Czechoslovakia, Slovakia out-trumps the Czechs for ancient castles, which festoon the country like cherries on cakes, and boasts nature far wilder than its western neighbours. It savours wine over beer and, in its bashful heartland amid mountains and forests, cradles an entrancing folk culture most European nations have lost. Slovakia’s small size is possibly its biggest attraction. You can hike woodsy waterfall-filled gorges one day and yodel from peaks soaring more than 2500m the next. Whoa! What’s that in the distance? Who wouldn’t make time for a huge castle visit after reading that?! 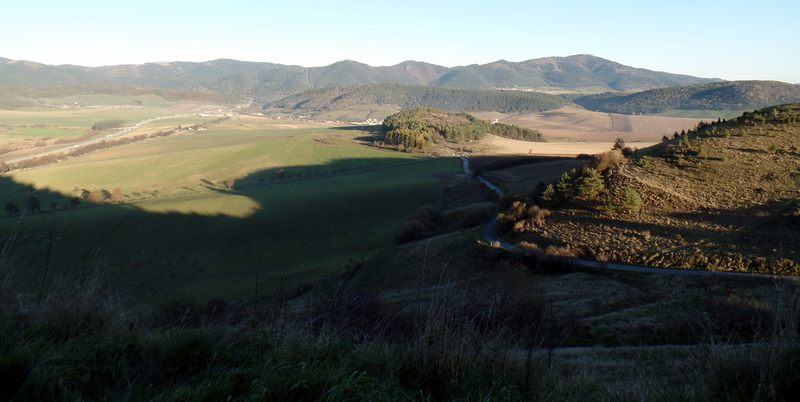 It was a long, meandering drive through the countryside, but absolutely stunning in its beauty. At one point, traffic was stopped while a large herd of cattle were shepherded across the road by men and their dogs. Just another day driving through rural Slovakia, we suppose. 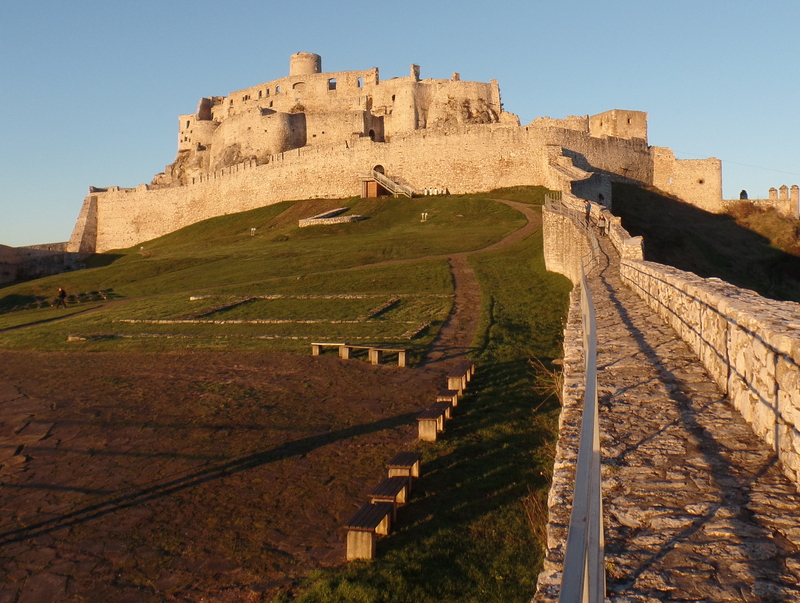 Our goal was to make it to Spiš (pronounced spish) Castle, locally known as Spišský Hrad before sunset. With the coming of fall and daylight-saving time, which is different, apparently, in Europe, time was of the essence. It’s a massive castle, one of the largest in Europe, built during the 12th century and we could see it for miles as we approached. 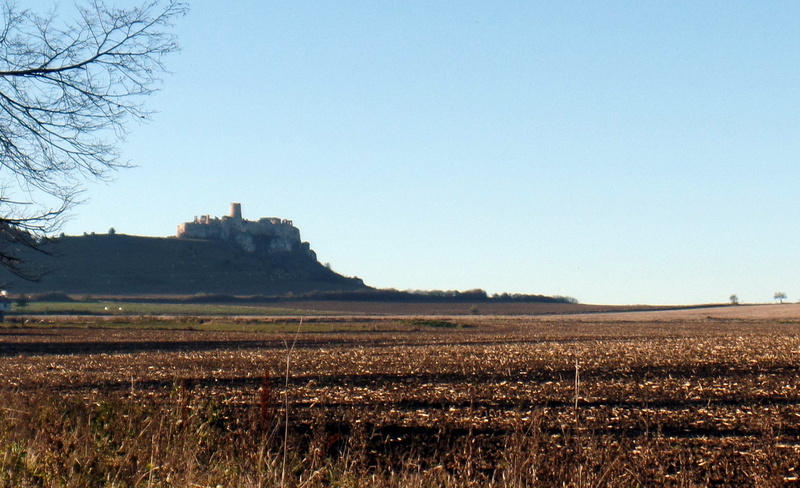 Below are some of the photos we took of the castle and the surrounding countryside. Being there, it was easy to fantasize about being the “lord of the manor.” Click “Load more” to see more photos. what a fantasy place for a castle history lover, Tom. Krakow is known for resurgence of Jewish music by non Jewish musicians. I hear it’s a wonderful place. Looking forward to seeing you on your return.